Are you in need of shutter installation services in the Phoenix or Tucson, Arizona area? Get in touch with the team at Marshall Insulation. We work with builders and contractors on residential new construction projects. 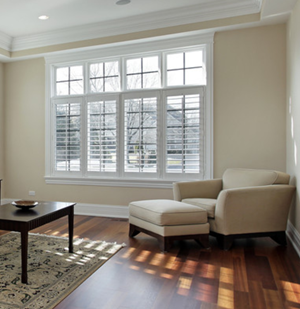 Contact us today—or keep reading to learn more about our window shutter services! When you need on-time, quality faux wood shutter installation, you can count on the Marshall Insulation team. We can help you finish your project on time and on budget and have worked with many builders and contractors in south-central Arizona. Our professionals can also help homeowners replace their window shutters. No matter your needs and project specifications, we look forward to helping you—call (602) 527-5858 or contact us online.